Ekonic's exclusive Justice League promo announced! Home / ekonic / mobile / news / Ekonic's exclusive Justice League promo announced! In line with the release of the Justice League movie, Ekonic is having a movie promo with their Justice League themed tech. Justice League fans will enjoy this. 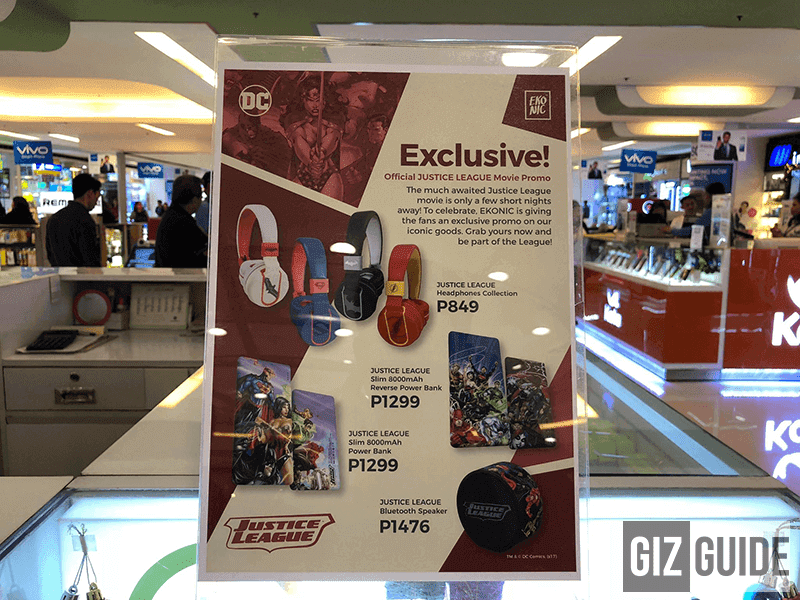 First up is the Justice League Headphones Collection that is available for PHP 849. You get to enjoy your music and movies while wearing the colorway of your favorite League member. It comes in Wonder Woman Red and White, Superman Blue and Red, Batman Black and Grey and Flash Red and Yellow colorways. Up next is the Justice League Slim 8000mAh Reverse Power Bank and Justice League Slim 8000mAh Power Bank. Bring in more power while going around town with these power banks. There are also great artwork on them showcasing the Justice League in action. These are both available for PHP 1,299. Last but not the least, you can share your music with your family and friends with the Justice League Bluetooth Speaker which is going for PHP 1,476. It has the JL branding on its grill and DC artwork covering its body. These can be great gifts for JL fans this holiday season!